2 Beds 2 Baths 1,545 Sq. 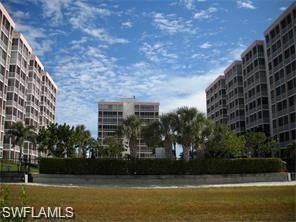 ft.
Penthouse views down the entire Fort Myers beach north and south!! Truly a Million Dollar view!! Without paying for the Penthouse!! Rarely available. Wrap around balcony. Completely redone top to bottom with stainless steel appliances, digital wine cooler, granite counters, chocolate glazed maple wood cabinets in kitchen. Fabulous living room and dining room furniture. There are (3) flat screen TV's. All bathrooms are luxuriously appointed. New sliders which open completely so you have the feeling to be right outside in a home not in a condo. Recessed lighting in all rooms. Golden Delphi large ceramic tile. Turn-key furnished and includes a large storage unit and an under-bldg pkg space. Amenities are excellent: huge swimming pool, game/party rooms, billiards, tennis courts, shuffleboard. On-site management. Creciente is one of the premier locations on Ft. Myers Beach. Guaranteed to impress. Unit is easy to show.